The law surrounding the employment rights of undocumented workers is somewhat complex, because while they do not have the right to work, at least in theory, many do, either because they provide false information to employers, or because employers hire the undocumented for reasons of their own. If an undocumented worker is employed, they are entitled under Florida law to specific rights, and in certain situations, that includes the right to workers’ compensation. Understanding the law in this situation can make a huge difference. Undocumented immigrants work, whether one wants to admit it or not, and indeed, many industries would be in trouble without their efforts. 2017 statistics from the Pew Research Center list private households, agriculture and construction as employing the most undocumented workers, but food manufacturing and accommodation/hospitality are some of the other industries with undocumented workers making up double digit percentages. Most if not all of these industries are part of the Floridian economy. And yet, undocumented workers often toil in shadow – they pay taxes without being able to collect benefits from it, and very often, they cannot complain about poor working conditions or other indignities lest their employer threaten them with being reported to Immigration & Customs Enforcement (ICE). No other population of workers risks such constant injury and poor treatment with such comparatively little ability to seek redress. 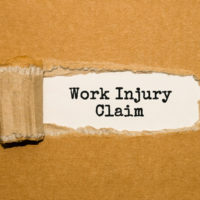 However, one right is still available to undocumented workers, and that is the right to workers’ compensation benefits if they are injured on the job. A seminal case called HDV Construction Systems, Inc. v Luis Aragon (2011) established the right of undocumented workers in Florida to collect workers’ compensation benefits, assuming the injury they suffered would be grounds for receiving benefits in general. In the case, Mr. Aragon sustained severe injuries after a fall from a ladder, occurring while on the job with HDV. Mr. Aragon had no valid visa, but was hired by HDV anyway, and he had been employed for some time before his injury. He was awarded Permanent Total Disability benefits, and HDV appealed, asserting that only his undocumented status made him unemployable. The court disagreed, quoting the relevant Florida statute, which defines employee as someone ‘lawfully or unlawfully employed,’ and extrapolating that the legislative intent of the statute was for undocumented workers to be covered. The court also made the point that HDV either knew or should have known of Mr. Aragon’s undocumented status, and continued to employ him anyway – a misdemeanor under Florida law. Because HDV had reason to know Mr. Aragon was undocumented and did nothing, the court held, it should not be able to “shift the cost of the damages that it has knowingly created” onto the taxpaying public. Generally, the takeaway from Aragon is that if you are undocumented and injured at work, you are entitled to workers’ compensation benefits – both because of the Florida legislature’s intent, and because if you were not, employers who knowingly hire undocumented workers would come out in a superior financial position to those who did not. Regardless, employers will not always fall in line, and it is often a good idea to contact an experienced workers’ compensation attorney to stand up for your rights. The Orlando workers’ compensation attorneys at the Hornsby Law Group will work hard for you. Call us today for a free consultation.